The Bench which comprised of Justice Hasnain Masoodi and Justice Janak Raj Kotwal was considering a question of reservation benefits in promotion in a petition filed by Ashok Kumar & others. The aforesaid interpretation of Article 370 was based on the rationale that power had been conferred upon the Constituent Assembly of 1957 to recommend to the President as to ceasing or modification of operation of the provision. As the Constituent Assembly had not made such a recommendation before its dissolution on January 25th, 1957, provision was rendered permanently irrevocable.
" 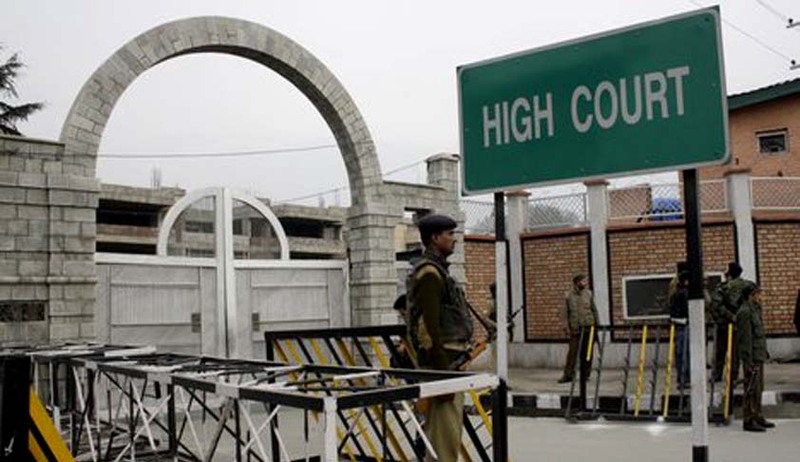 Jammu and Kashmir while acceding to Dominion of India, retained limited sovereignty and did not merge with Dominion of India, like other Princely States that signed Instrument of Accession with India,” the court observed. According to the Court this Constitutional Scheme was reinforced by the subsequent introduction of Article 35A to the Constitution of India by a Presidential Order which now extends blanket protection to the existing laws in the State and to any law enacted after 1954 by the State legislature. Legal debates regarding the constitutional validity of Article 35A which bars non-residents of J&K from buying land or property in the state has not settled. By virtue of these observations the Court attempts to safeguard the autonomous status of the state which has been long assailed by a prominent political front of the Union. Article 370 gives Jammu & Kashmir complete control over their administration except in the matters of defense and diplomacy. As originally envisaged, the fundamental rights and duties, directive principles of the state policy and the supremacy of the Indian Supreme Court don't apply to the state. The state has its own constitution and flag. Earlier this week, a Public Interest Litigation was filed by Kumari Vijayalakshmi Jha before the Delhi High Court contending that Article 370 was a temporary provision and lapsed automatically with the dissolution of the Constituent Assembly of Jammu and Kashmir on January 26, 1957. It has been posted for hearing on 19th of October. In July 2014, the Supreme Court had dismissed the plea challenging special status granted to Jammu and Kashmir under Article 370 of the Constitution and asked them to move the high court. In July 2014,a Supreme Court Bench headed by Justice R.M. Lodha, dismissed a PIL challenging the special status granted to Jammu and Kashmir under Article 370 of the Constitution of India. It sought a declaration that the Article lapsed with the dissolution of J & K Constituent Assembly on 26th January 1957.It was also contended in the PIL that Article 370 is just a temporary provision, which was valid only till the Constituent Assembly ratified the accession of Jammu and Kashmir.